Halotherapy is one of the methods of climatotherapy, based on the positive influence of the microclimate of some natural and artificial caves on the course of a number of diseases. Natural salt caves differ from those that are represented in large numbers. There are a lot of salt rooms! 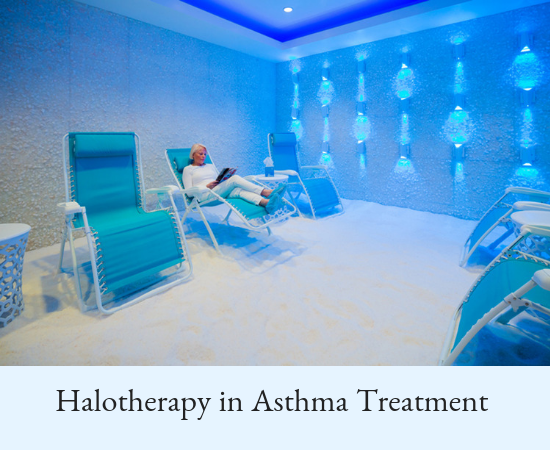 Halotherapy presupposes that a person is located in a special salt cave for a certain time, where he breathes a “healthy” air. Other room names: salt-chamber, speleo-camera. The method of treatment of the microclimate of caves can be effective, but it is hardly a panacea. Important: to achieve a therapeutic effect, it is necessary to take a course of 15-20 sessions for 40-60 minutes. Not everyone can attend halo-chambers. Acute and chronic kidney disease. Unfortunately, nowadays, there have been no qualitative studies of the effectiveness of halotherapy in terms of evidence-based medicine, so it is impossible to talk about the guaranteed effect of such a treatment method. It should be clearly understood that visiting the salt chambers is an auxiliary (secondary), not an obligatory method of treatment. The basis for the treatment of bronchial asthma lies in basic therapy, and it cannot be replaced by halo- or speleo-therapy. Salt chamber therapy does not cure you or your child of bronchial asthma, does not “clean” the body of allergens, does not take away atopic dermatitis. It is only able, along with quenching, to increase the adaptive body capacity. It is far from a fact that after attending a course, the child will have a decrease in the number of exacerbations, or there will be a long-term remission of the disease. Conversely, when visiting a halo-chamber, a strong bronchospasm may occur or an attack of a strong cough may start. Not all mothers bring fully healthy children in there, and this is an additional risk of getting ARVI, and therefore getting an exacerbation of asthma. Also, we must remember that some owners of salt chambers do not fulfill all the necessary requirements for the maintenance of the premises. They are small in area, or there are too many people, which is also not good, not always the rooms are ventilated after each session. Tell me, please about the device for home procedures of halotherapy? They cost not cheap, is there any sense in them as a home procedure? Good morning, everyone! I did not go to commercial chambers, but since childhood, I’ve been visiting the SPA, I really liked it. I take my son, too, whenever possible. To succeed with any disease, you need to visit this chamber for a long period of time. I have a special attitude to climatotherapy. Yes, it is now an expensive pleasure, but in an SPA with a treatment of children with weakened immunity, it is affordable. We have the chamber with an iodine-bromine and hydrogen sulfide composition. It is not necessary to engage in exacerbation, but nobody will let you go. When a child is cleaned from cracks and inflammations on the skin without creams and tablets, it is expensive. And how many times I noticed even the products that caused allergies in SPA had no reaction at home. The child is gaining weight. The most important thing is the positive emotions that you experience with your child. With great confidence, I can say that all sleepless nights, all experiences bring together and unite the whole family. A child bringing up with such an attention grows very sensitive, attentive, caring towards others. It is unfortunate that such a form of communication and valuable advice system was not available even10 years earlier.